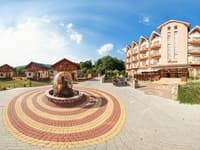 Sanatorium "Quelle Polana" is located in the village of Polyana, at an altitude of 340 m above sea level. The hotel has 39 guest rooms. Each room is equipped with cable TV, telephone, mini-bar, 24-hour water supply. For an additional fee, you can order breakfast, lunch and dinner at the sanatorium. 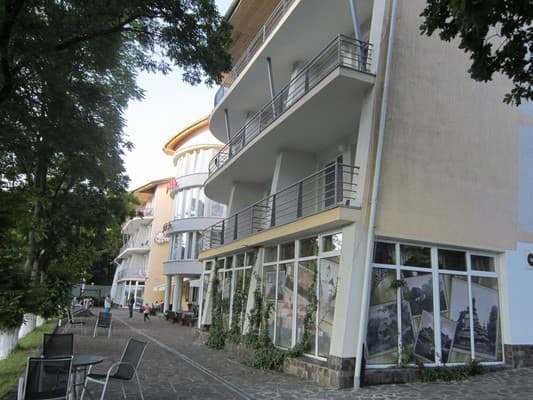 Residents can eat in the restaurant or in the bar on the territory of the sanatorium. The menu includes European and national Transcarpathian cuisine. On the territory there is free parking under video surveillance, children's room, summer table tennis, BBQ, gazebo. Description of the room: One room with an area of ​​16 sq.m. with one single bed. 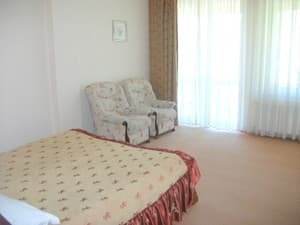 Description of the room: One room superior room of 20 sq.m. Sleeping places are provided as a semi-double bed. 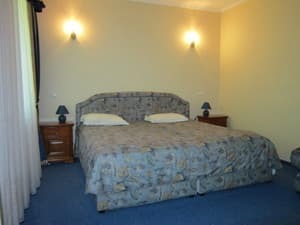 Description of the room: One-room double room with an area of ​​27 sq.m. 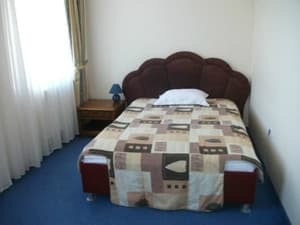 The room has two separate single beds or one large. Description of the room: One-room superior room with a balcony and a large double bed. 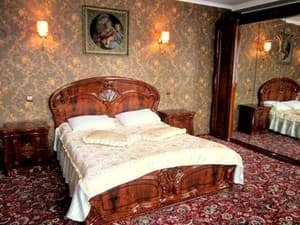 Description of the room: Two-room (bedroom and living room) double luxury room with an area of ​​75 square meters. In the bedroom there is one double bed, in the living room there is a soft corner. Description of the room: Two-room (bedroom and living room) double superior suite with a balcony area of ​​85 sq.m. The bedroom has a double bed, the living room has a soft corner. Children under 5 years stay free of charge without extra beds. 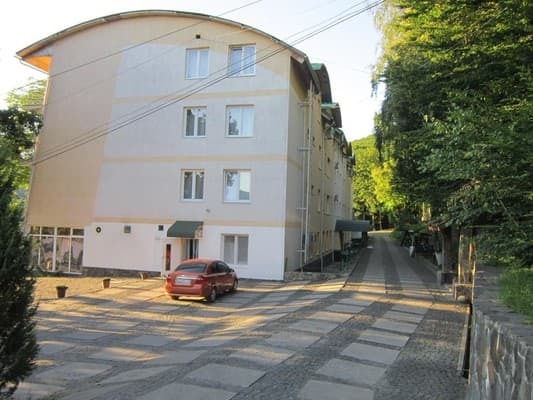 Additional place - 140 UAH per person. For an additional fee, you can order breakfast, lunch and dinner at the sanatorium. 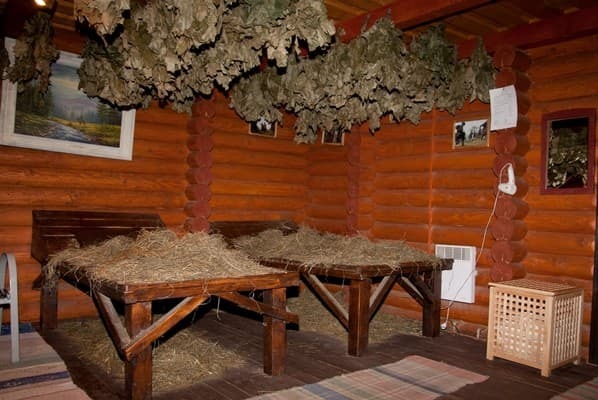 Residents can eat in the restaurant or in the bar on the territory of the sanatorium. The menu includes European and national Transcarpathian cuisine. 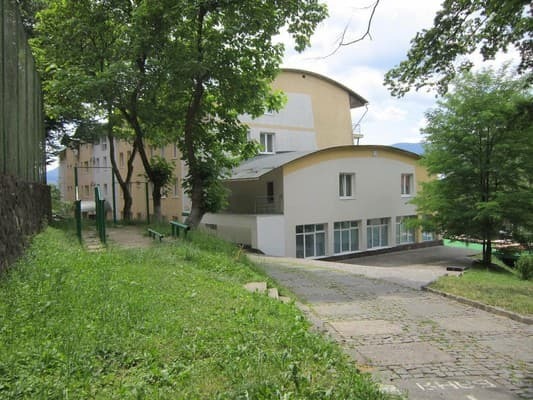 Sanatorium "Quelle Polana" is located in the village of Polyana, at an altitude of 340 m above sea level. The distance from the sanatorium "Quelle Polana" to the railway station Svalyava is 15 km, to the regional center - 75 km. Treatment is based on mineral water. 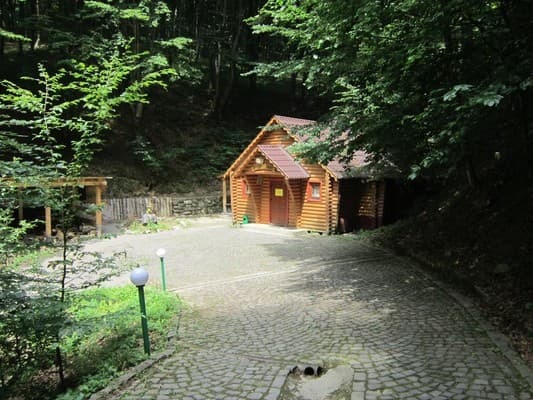 The sanatorium has its own pump room with mineral water "Glade Kupel" and "Polyana Kvasova", known throughout the world for their healing properties. The most convenient way to get to Glade by train is to go to Svalyava station, then - by bus or taxi to the hotel. Before Svalyava you can also go by bus from Lviv, Ternopil, Lutsk, Ivano-Frankivsk. By personal transport it is convenient to go along the Kiev-Lviv-Chop (E-50) road to Svalyava, then turn towards Polyana village.